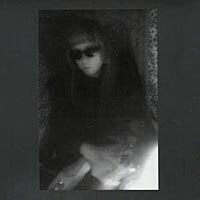 Keiji Haino vinyl alert! This is the first platter o’ black wax from this camp in eight years, since the Vol. 2 LP with Loren Mazzacane Connors was released back in 1997. Picking up where To Start With, Let’s Remove the Color! left off, Next, Let’s Try Changing the Shape offers up an additional 70 minutes of lost-in-a-nocturnal-bog sound in the form of four long sides of off-kilter, guitar strum jabs and buried, intoning vocals–all cloaked in the most gigantic midnight Grand Canyon reverb and layered delay imaginable. And is that actually an overdubbed lead guitar I hear in the last track? The world may never know! If so, that may be a first for Keiji Haino. Limited to a mere 500 copies on vinyl, Next, Let’s Try Changing the Shape comes sheathed in an elegant, black, single LP sleeve on thin stock with a portrait of Haino on the front. Bee-you-ta-full! 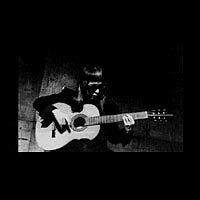 This 70-minute CD contains three long tracks of Keiji Haino going solo on the acoustic guitar with nary a melody or a vocal chord in sight. We’re talking straight-up free improvisation here, people! Featuring sections of almost meditative quiet that are rudely interrupted by dry, dissonant juts and jabs–plus all kinds of abstract, complex picking sprinkled all over the place–the playing on this album is obviously influenced by free improv pioneer Derek Bailey without sounding like an outright bite. Although the music and crystal clear recording are nice, 70 minutes of solo acoustic guitar playing of any kind is guaranteed to test just about anyone’s patience–even mine. But, then again, maybe you’re cut from a different cloth. The cover sports three photos of the artist manhandling the instrument down in the basement. Also included is a nice little catalog with a short bio (written in Japanese only, unfortunately) and a scan of every Keiji Haino-related CD released on PSF thus far. Sweet stuff. Koko is a rare, giveaway promo disc that was only available to those who mailordered other Keiji Haino CDs directly from PSF between December 24, 2003 and January 31, 2004. 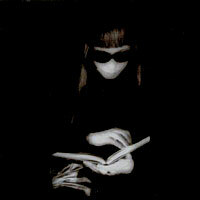 Produced in a limited-edition of 300, it’s one of the rarest official Haino releases. Happy eBaying! The one-track, half-hour program presents a seemingly never-ending puff of gentle, shimmering electric guitar and delicate, keening vocals–both completely soaked in reverb and delay–to supremely pleasant effect. And the huge, sustained, ball-of-clarity climax at the end really brings it on home. The nearly bare package boasts only one photo of an axe-wielding Haino and next to no information. Simply put, Koko is pretty much perfect, all around. Although the liner notes reveal that this is a live recording “with vocals and rhythm machine,” it totally sounds overdubbed. Released by French label Turtles’ Dream in 2002, the entirety of C’est Parfait is comprised of one long 45-minute track full of numerous Hainos cooing, moaning and screaming simultaneously, accompanied by scattered hailstorms of “drums” and “percussion” heavily effected with echo, delay, reverb and other manipulations, and no normal rhythm. I still think it’s a little strange to hear so many layers of Haino all raging at once. While overdubs are a rarity in his early discography, it seems like he’s been practicing quite a bit more aural lamination in a live setting with effects units in recent years. No matter what apparoach he uses, though, the unmistakable and unique Haino aura remains. So, what does it sound like? This album alternates quite effortlessly between room-clearing shrieks and explosive, spluttering percussive onslaughts to mist-cloaked areas of spooky quietude. Basically, it’s another great big barrage of invigorating eardrum workout from the ever-uncompromising black-clad elf. Lastly, there’s an extended rant in the liner notes about how Haino is actually more deserving of acclaim as a singer and multi-instrumentalist rather than a guitar hero. I’ve always thought of him as all three–and so much more. 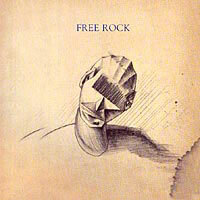 Free Rock is a 2001 CD issue of a recently discovered, previously unreleased, archive recording dating from two decades earlier–August 3, 1982, to be exact–during Keiji Haino’s first visit to the Unites States. For this session, Tokyo’s all black clothes-wearin’ sunglassed man found himself sharing the stereo microphone in a sweltering garage with Los Angeles Free Music Society stalwarts the Doo-Dooettes–featuring Tom Recchion on mock cello and strungaphone, Fredrik Nilsen on bass and Dennis Duck on drums–and Rick Potts of Human Hands fame. The disc blasts out a solid 35 minutes of fantastic, vivid free skronk and slop rock that never fails to kick up a hell of a ruckus! 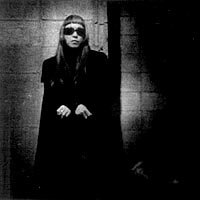 Simultaneously, it sheds some much welcome light on one of Keiji Haino’s least documented periods. Another obscure piece of the puzzle is now in place. “A beautiful fusion of free jazz, modern music and psychedelia.”–PSF. Includes two beautiful fold-out booklets of notes and drawings. (The cubist portrait on the front is especially nice.) Highly reccomended! Keiji Haino – To Start With, Let’s Remove the Color! To start with, let’s regard the cover! 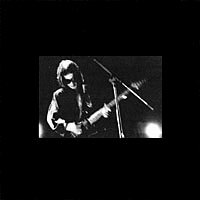 It’s yet another in a long line of those purdy mini-LP gatefold jackets manufactured in the name of Keiji Haino by PSF. The surprising difference this time is that instead of the usual black, it was printed in a deep battleship grey, with several softly focused black and white portraits of the artist. The actual disc itself offers up well over an hour of haunting, midnight lamp-accompanied music that will effortlessly spritz your soul with the most gentle, glacially hovering solo guitar and vocals, harking back to Haino’s early ’90s glory days, when he released completely stunning alien folk albums like Affection. We’re talking a vast, empty airplane hangar full of clean yet quirky, staggered guitar strums layered with totally somnambulant ghost moaning and more than 10 times your reccommended daily allowance of reverb. Beyond gorgeous. You are currently browsing the Arcane Candy weblog archives for March, 2008.